ALDI’s Special Buys aisle is always full of surprises, but they don’t come much cooler than fridges for less than $300! This Saturday (November 24), you might like to set your alarm for an early start as the discount supermarket chain will have large fridges and freezers up for grabs at rock-bottom prices. But with stocks limited, queues are expected, so you’ll need to get in quick. ALDI’s 239L upright refrigerator (STR-H239W) is selling for $299, with dimensions of 1430(H) x 550(W) x 580(D)mm. It features five glass shelves, two crisper drawers and an adjustable thermostat. Its reversible door design lets you change the way it opens for added flexibility. 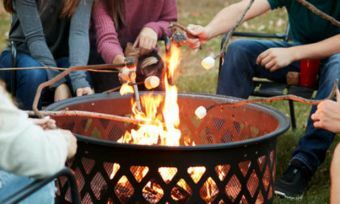 It has a three-star energy efficiency rating, using 211kWh per year, plus it comes with a three-year in home warranty. Similar capacity fridges typically start from around $500. 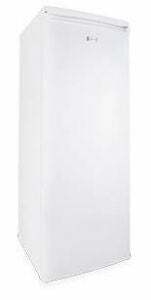 Take Esatto’s 237L upright fridge (EUL237W) as an example. It retails for $499 and features three glass shelves, a two-star energy efficiency rating and an adjustable temperature control. If it’s a bar fridge you’re after to help with entertaining your guests at home, you might like to consider ALDI’s 95L bar fridge (STR-H95W), which is selling for $149. It’s designed with three glass shelves, a crisper drawer and a chiller compartment. Similar to the fridge mentioned above, it has a reversible door, with dimensions of 850(H) x 480(W) x 445(D)mm. It has a two-star energy efficiency rating, using 218kWh per year. It also comes with a three-year warranty for peace of mind. By comparison, a bar fridge from Beko – 87L (TS190320) – retails for $329, which is double the price of ALDI’s model. It has some similar design aspects with a 2.5-star energy efficiency rating. 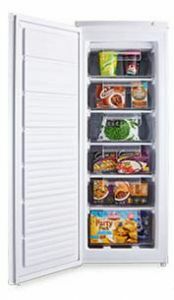 ALDI’s 183L upright freezer (STR-183W) has a price tag of $299. Expect six drawers, wire shelving with built-in cooling elements and a reversible door. Its dimensions are 1430(H) x 550(W) x 580(D)mm, so be sure to measure out the space you have before you head in-store. It’s boasted for a 3.5-star energy efficiency rating and comes with a three-year warranty, plus a five-year compressor warranty (and that’s on all ALDI fridges and freezers). 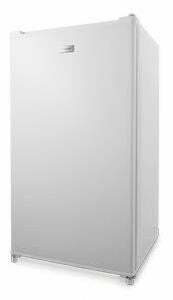 Westinghouse offers a similar 180L freezer (WFM1800WD) for $789 RRP. This model is equipped with five freezer baskets, a reversible door, ice cube storage and comes with a three-star energy efficiency rating. There you have it – ALDI’s fridge and freezer are likely to sell fast. Stocks are limited, so you might like to get in quick if you’re after one of these bargains.